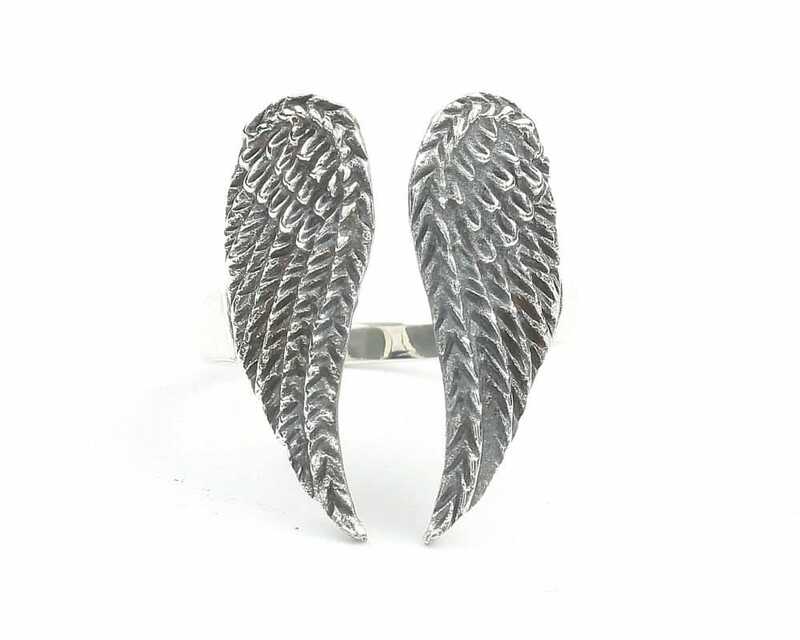 Sterling Silver Angel Wings Ring. 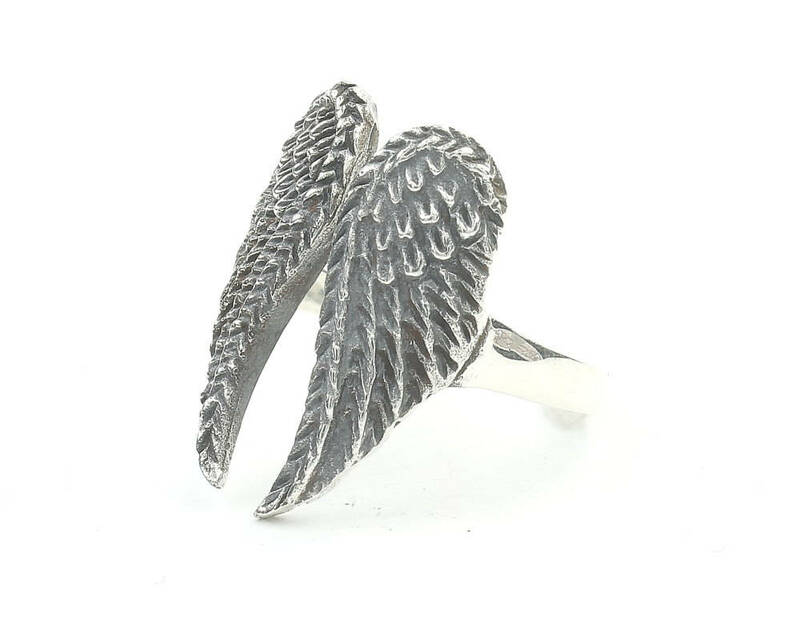 Beautiful large 2 tone detailed angel wings design. Patina finish which gives it rustic look. The deign is open at the top, so can be adjusted if needed. I love this ring! It arrived very quickly and was exactly as described. I wear it every day! In love. Beautifully made, shipping was fast, and it’s a perfect fit.